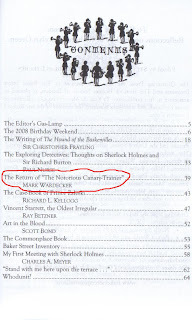 My article, The Return of “The Notorious Canary-Trainer”, has just been published in the Spring 2008 issue of The Baker Street Journal. 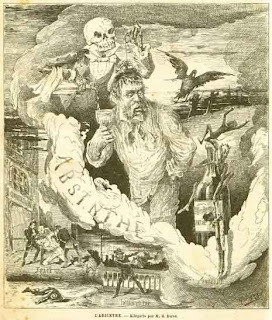 It’s a rather tongue-in-cheek reflection on Conan Doyle’s Sherlock Holmes, Arthur Morrison’s Martin Hewitt, The Strand magazine, and naturally, notorious canary-training, and I’m extremely pleased that it’s appearing in this, the oldest and most prestigious journal devoted to Holmes and Watson. 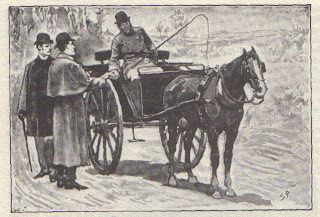 I honestly think I enjoy writing about Holmes more than any other subject, and some readers of this blog may remember that The Baker Street Blog featured a Sherlock Holmes pastiche of mine last year. Update: I’ve now made this essay available online: The Return of “The Notorious Canary Trainer”. Some of you, who are aware of this story’s circumstances may be a little surprised that I’ve decided to go this route, so I would like to briefly explain myself. I actually wrote the story in May of 2005 and submitted it to Marvin Kaye (the editor of The Game’s Afoot) for his forthcoming magazine, called Sherlock Holmes Mystery Magazine, that was to be published by Wildside Press. Kaye said he would be interested in publishing my story and would be able to buy it as soon as the magazine began publishing. Unfortunately, that was two years ago, and the first issue has yet to appear. Now, I have nothing but good things to say about Kaye, who is extremely approachable and great fun to correspond with, and Wildside, which publishes some absolutely brilliant magazines and reprints, but the future of SHMM just looks entirely too dubious at this point for me to wait. Since there are so very few markets for stories such as this one (not even the Baker Street Journal publishes them anymore) and those that do exist are utterly uninterested in new authors, and since, as a librarian, I’m acutely aware that subscription-based printed magazines are quickly disappearing, I have been trying to figure out some simple, online alternatives. While such venues may not yet have the same aura of respectability as print, they have the potential for reaching more readers more quickly. That is why I have I decided to experiment with this manner of publishing. I probably would not have had the guts to do it were it not for the support of Scott, who already has quite a large group of dedicated readers, and if any of you do make your way here and read the story, please leave a comment. Of course, this goes without saying for my friends who are already aware of this blog. Thanks in advance for taking a look and letting me know what you think. And thanks to Chris Fowler for all the help with the writing and proofing of this story. Update: The story has finally been published in issue 5 of Sherlock Holmes Mystery Magazine!